City Bank Limited Job Circular 2018 has been published. 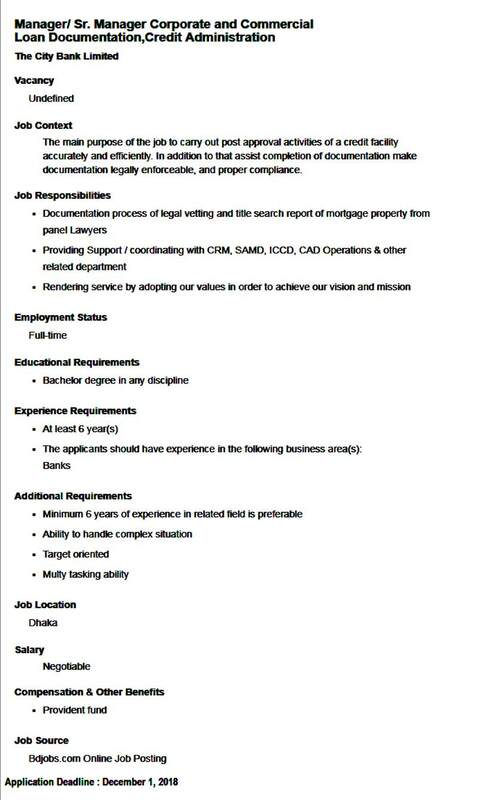 City Bank has published a vacant position of Sales Officer / Senior Sales Officer, Home Loan-Retail Banking. Relationship City Bank Limited Job Circular 2018 has been available on my website. Banking Career is all about choosing one’s own vision; it’s more than about choosing his/her job. So the interested and eligible candidates are requested to apply through online for the positions last date to apply 24th November 2018. City Bank Limited Job Circular 2018. ■ Job Description: Approve and monitor all types of account opening & closing process and transactions maintenance as and when required. Maintain liaison with internal departments for smooth operation and service. Ensuring all operational tasks is aligned with the bank’s policies, regulatory laws, and guidelines. 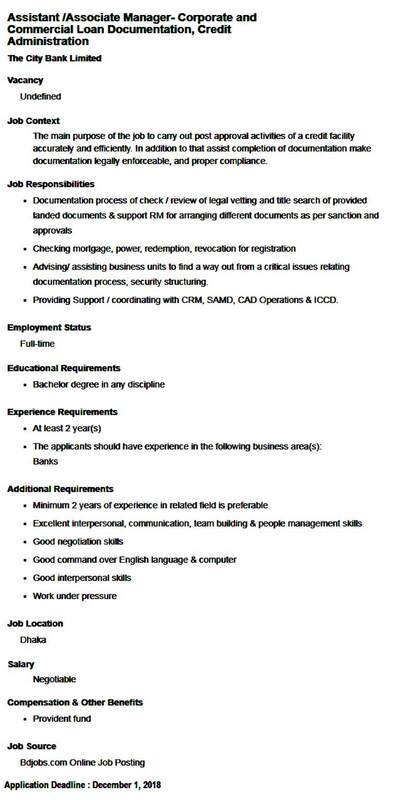 City Bank Limited is an equal opportunity employer and welcomes applications from female candidates. No hard copy of any application/resume will be entertained. Only shortlisted candidates will be invited for the interview. City Bank Limited reserves the right to accept or reject any application without assigning any reason whatsoever. City Bank Limited Job Circular 2018.